A Maui Luau on a balmy evening under the stars will transport you to the days of early Polynesia as you enjoy traditional music, dance, food and fun. 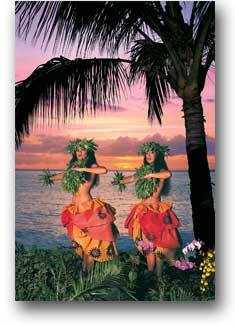 Maui offers fabulous luaus at three different locations on Maui… Wailea, Lahaina and Kaanapali. 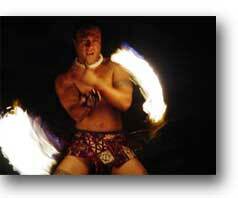 ‘Royal Lahaina Luau,’ hosted by the Royal Lahaina Resort is one of Maui’s longest-running luaus. The excitement never misses a beat during the ‘Drums of the Pacific’ luau, taking place nightly at the Hyatt Regency Maui’s Sunset Stage. The evening begins with a traditional Hawaiian lei greeting, complimentary cocktails and demonstrations of native Polynesian crafts and customs, including a hula lesson! 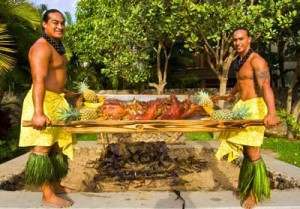 Watch the unearthing of a steaming, roasted pig from the underground oven, or imu, before helping yourself to a sumptuous buffet of traditional Hawaiian cuisine and other Island favorites, including kalua pork, Ulupalakua beef, huli huli chicken, fresh mahi mahi, Hawaiian poi and sweet potatoes, fruits, vegetables and delectable desserts. Then sit back and relax – if you can – as dancers take to the oceanfront stage for a fast-paced, high-energy showcase of songs and dances telling the tale of the first islanders’ migration to the Hawaiian Islands. 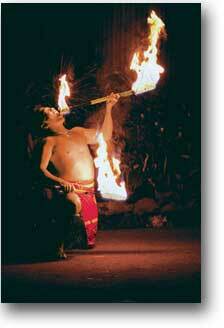 The daring fire-knife dancers will captivate you with their skill. Great fun for the whole family! Photos courtesy of the Drums of the Pacific Luau. Starting with the “aloha” shell lei greeting and ending with the dazzling fire dance, the Royal Lahaina Luau will immerse you in an unforgettable cultural celebration of dance, music, food and traditions of Hawaii and other Polynesian islanders. With the Pacific Ocean and neighboring islands of Lanai and Molokai as a backdrop, join the Royal Lahaina Resort “ohana” (family) in the oceanfront Luau Gardens at sunset for arts and crafts demonstrations and Imu Ceremony. You might enjoy a Mai Tai before heading to the all-you-can-eat buffet dinner. You’ll find an array of traditional Hawaiian foods to sample – Kalua pork, poi and lomi lomi salmon – as well as fresh fish, Island chicken, assorted salads, side dishes and desserts. An open bar serves standard cocktails, beer, wine, soft drinks and fruit punch. For the keiki (children), a special “kids” buffet is available. The real fun begins as a cast of dancers, musicians and fire artists take the stage for a dynamic Polynesian Revue, weaving the legends of Hawaii, Tahiti, Samoa and Maui into graceful hulas and spell-binding performances. Photos courtesy of the Royal Lahaina Luau. “Te Au Moana” means the ocean tide and in keeping with their name, Te Au Moana Luau celebrates the many pacific island cultures that are linked through the ocean tides. Lavish songs and dances are performed on an oceanfront stage with the Island of Kahoolawe in the background framed by swaying coconut palms, you couldn’t ask for a more magical location! 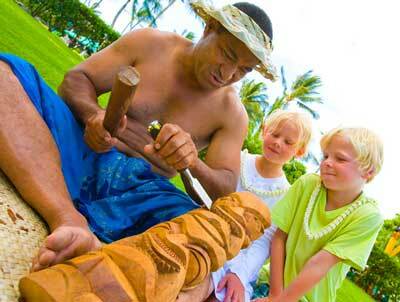 When you arrive, you are greeted with a fresh flower lei or a carved wooden fish hook necklace. You can watch the Imu being opening and participate in a variety of fun activities before the main events start… kapa and bookmark making, Polynesian crafts, lei making and storytelling… activities that will entertain both kids and adults. The sumptuous dinner buffet includes the traditional luau offerings of Kalua Pig, Lomi Lomi salad, Poi, Haupia, as well as teriyaki steak, pasta, shoyu chicken and a wide variety of salads and desserts! The entertainment is provided by the legendary Tihati. Beautiful dancers will enchant you with songs and dances of all of the different Polynesian islands, the Tihati show is the perfect culmination to an evening that you will not soon forget! 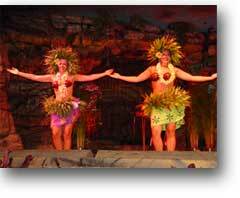 Photos courtesy of the Te Au Moana Luau.